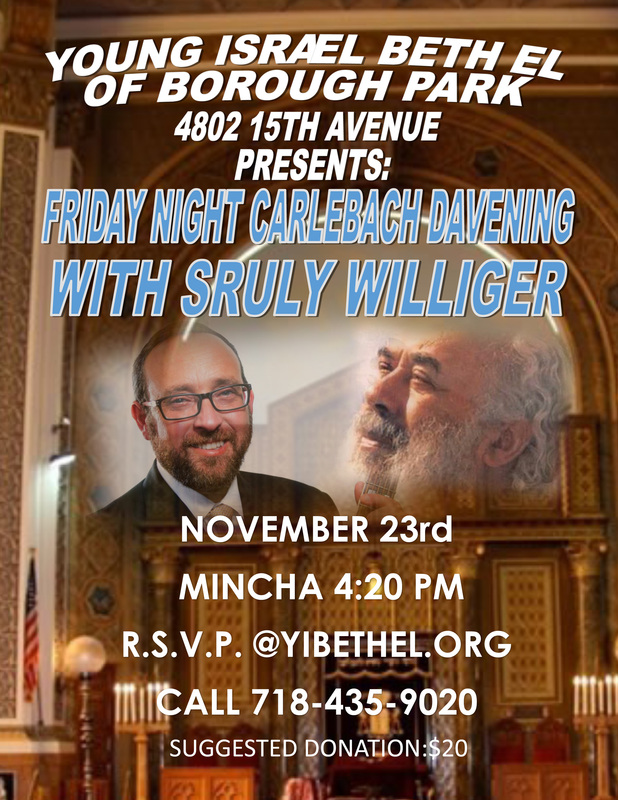 Get ready for an unforgettable davening this week as The Young Israel Beth El of Boro Park hosts a Carlebach Friday night featuring the multi-talented Srully Williger. Mincha starts at 4:20 PM. RSVP at the shul’s website YIBethel.org or by phone 718-435-9020. Suggested donation: $20.